While checking one of my trail cameras on the last day of the 2016 NC rifle season I found a deer leg laying on the ground just 5 feet from my camera. I tossed it to the side, thinking that one of my family’s Labrador retrievers had found a roadkill deer and drug its leg past my camera. 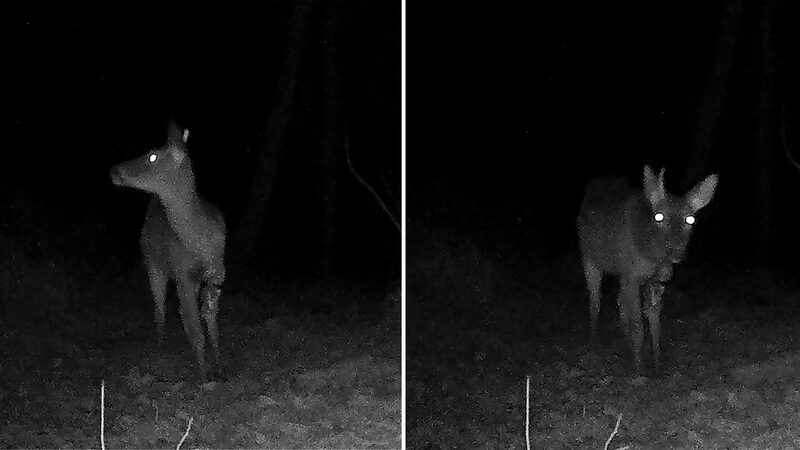 Later, while flipping through the camera’s photos, I noticed that a 3-legged buck had visited my camera. It wasn’t until I examined the sequence of photos further that I noticed the uniqueness of the situation! In the first photos of the sequence I noticed that the buck’s front left leg was attached to his body by just a sliver of skin. In the next burst of photos, just minutes later, the buck was a three-legged whitetail. (Above) The buck while still having 4 legs. (Above) Just minutes later the buck has “shed” his leg and is now a 3-legged whitetail. It appears that the buck had suffered some sort of trauma to his leg, probably from a gunshot or car accident. By the appearance of his “shed” leg that I found, the wound had become infected while the buck continued to carry it. Eventually the leg had died and was eventually detached completely from the body as the infection deteriorated the skin around the wound. 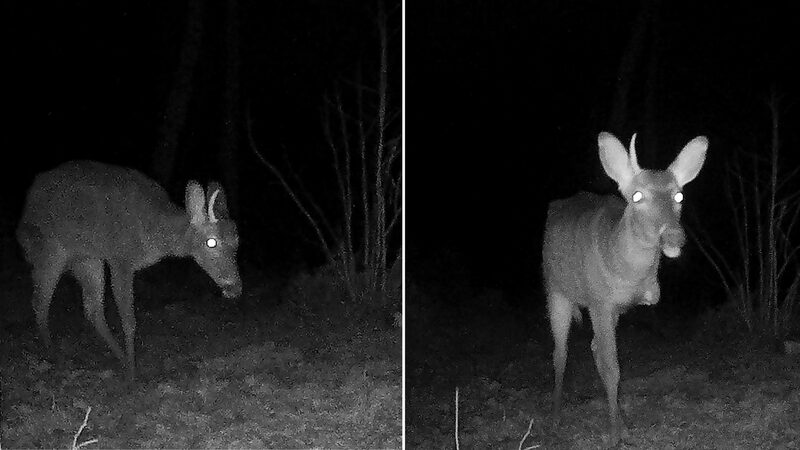 You will also notice that while these photos were taken on December 31st, this buck has already shed one antler. 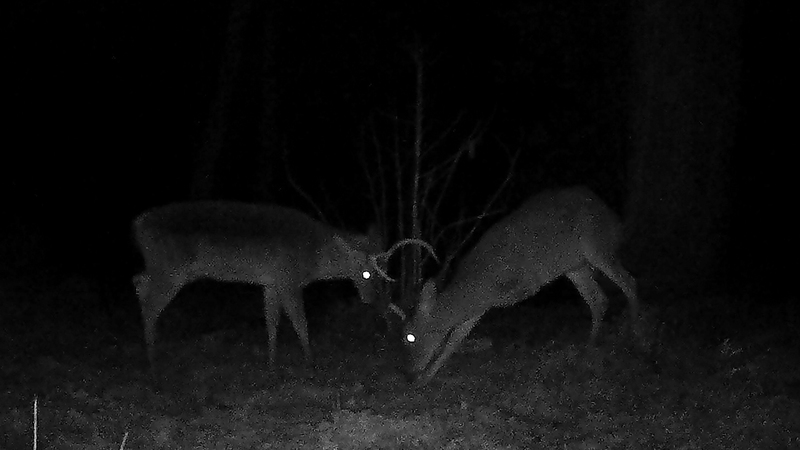 This early antler casting is often seen when a buck’s body is stressed. Obviously the trauma of losing a leg has caused this buck’s body to go into survival body and causing early antler shedding. (Above) Minutes after dropping his leg an older buck walked in and challenged the 3-legged buck. After talking to my neighbor months later, I learned that he had seen this buck on camera for several weeks following my set of trail camera photos. He told me that the buck stayed very close to the corn he was feeding on, and in some cases would be bedded within feet of his feeding station and would not want to leave when he visited the site. Unfortunately, I do not know whether or not the buck survived this injury, but I suspect he may have. These photos are just another testament to the resilience of white-tailed deer and their determination to survive. 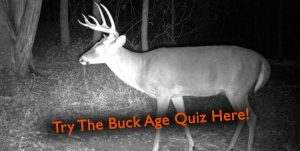 Years ago a guy who hunted an adjoining property to ours told me he had been looking for a buck that he thought was shot low, probably on the leg. He had been watching with binoculars when his buddy took the shot, so he had a pretty good idea of what had happened. A year later I watched a three legged buck feed by me at 20 yards. He was in excellent condition. The leg was clearly lost in an injury. Lots of scars. He planted the stump on the ground and kneeled down to feed. I passed on him. I figured he’d earned it. It’s incredible how resilient deer can be! Full respect to them for surviving injuries like this that would put the rest of us on our backs!